Previous Article← Why should taxi businesses invest in an app like Uber? Since its inception, Uber has acquainted many technological innovations into the taxi industry. Now it has added new features into its Driver App to simplify the pickup process during the holiday travel season. 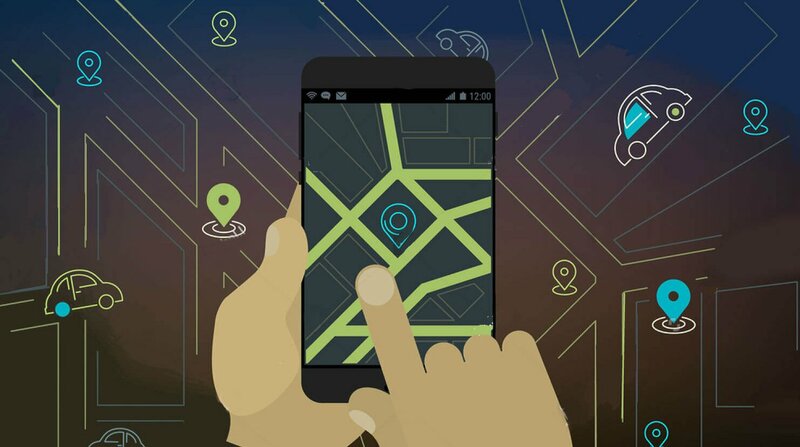 One of the features is “live location sharing’ option that let you, as a user, to share your locations temporarily with the driver to direct them to reach your place exactly. All these can be done from the main Uber screen and can be kept within your control. This will help your driver to find your precise location and pick you up in a feasible time. You can use this feature while taking the Uber service simply by tapping the icon in the bottom right corner of the map display. If the icon is in blue color, the feature is active and you are sharing your location; if it is in grey, you are not sharing your live location. You can switch between the two modes by tapping the icon at any time. By sharing live location details, you can avoid delayed pickups and thereby save time. As an initiative to help its users to find the booked cabs easily, Uber has also widened its Beacon program by using a hardware device in the windshield of drivers. With which, you can select a particular color in your app that will be reflected in the driver’s windshield, which will be helpful for you to find the right ride quickly even during the night-time. Uber has rolled out this program last December in Miami, Denver, and Nashville, USA; and Newcastle, UK. Streamlined process for booking a ride for another rider and an in-app gifting flow for transferring the Uber credit to another person instantly from the app are the other two rider changes. And even more is on its way. Other small players in the taxi industry can also adhere to these technologies by using Uber-like taxi app such as TagMyTaxi who has adopted even the newest technologies in their taxi management system.